Do the mitzvah of donating blood at Ahavath Achim Synagogue’s quarterly Blood Drive! 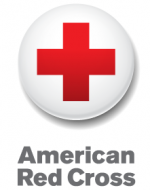 AA has been a proud co-sponsor and host of the Blood Drive for more than 40 years. To reserve an appointment, visit the American Red Cross site, and use sponsor code JWV. For more information, contact Gail Solomon at gailsol@gmail.com or 404.351.1900. Don’t miss out! View the events calendar to see when the next Blood Drive is.